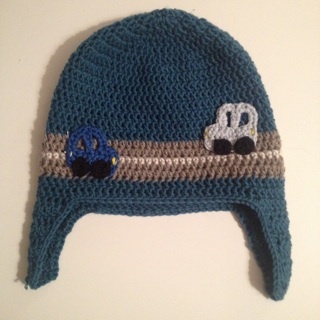 “On the road again” crochet hat for boys ( and girls)! My son loves cars! Especially his dads car. So when he looked at the colours he pointed out the blue one. Because he wanted the same colour he has on his (We have two cars. Wife car, my son refers to that one as “the bus”. Mummy drives a bus. And my husbands car. The truck). 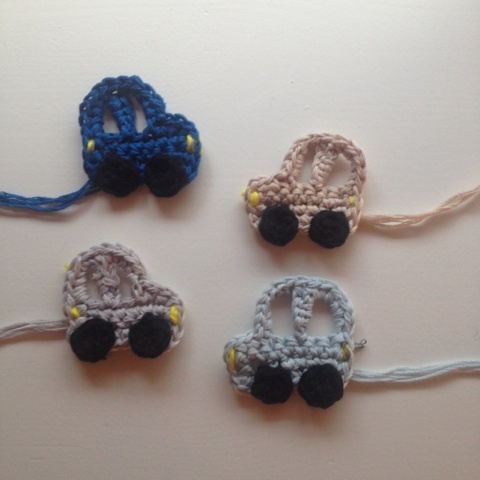 Used reflecting yarn on the “road” and in the front/tail lights on the cars. I have used a yarn called SeeMe. So important to use reflecting wests and other reflecting products. We are not easy to spot when we walk in the dark. My son is 4, but the hat also fit my 7 year old girl. 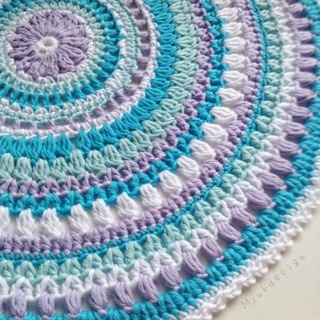 Have used Drops Merino Extra Fine. 100% superwash wool. 50g(1.8 oz) = 105m (115 yds). Do not cut yarn, but start direct on the first earflp. 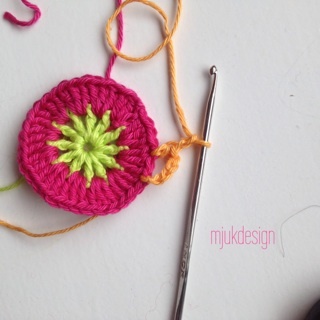 Leave 25 stiches along the front, fasten yarn with a slip stitch. Chain three and repeat earflap one. 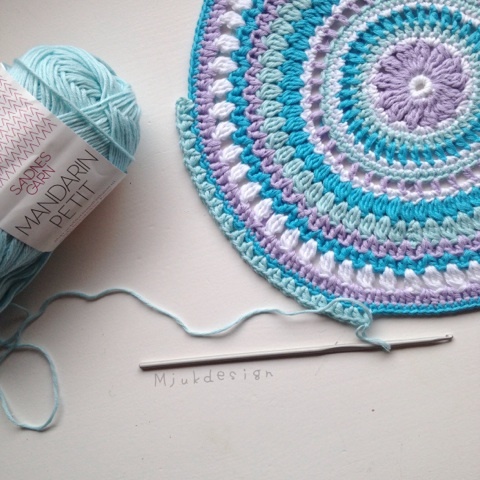 Sc all the way around the hat, fasten with a slip stitch in the first sc. Cut yarn and weave inn all ends. Use a eu hook 3 and a yarn ith the same wheight as Drops safran. 1: Chain 8 (including one chain to turn with. 5: Chain 4, fasten with a slip stitch in the 5 sc, chain one. 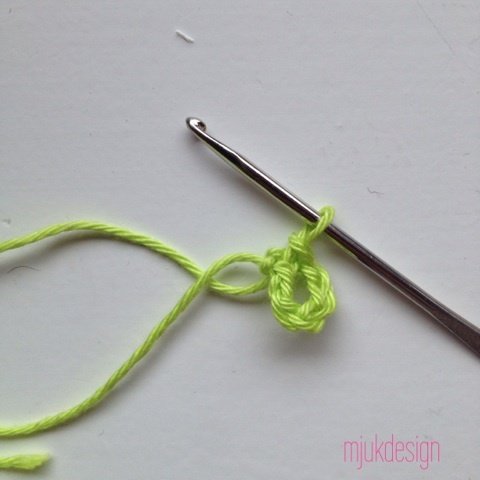 Cut yarn and leave a tail for sewing. Tires: Magic circle, hdc 6, fasten with a slip stitch. Sew them on the car. I used yellow to embroider on front and tail lights. 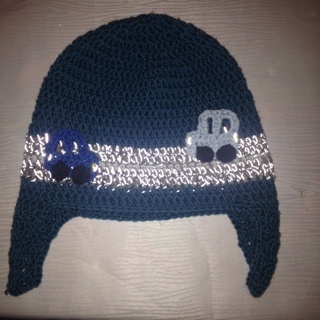 For this hat i made 4 cars. Two in the front and two in the back.